Treat yourself with this beautiful Spanish potato recipe. 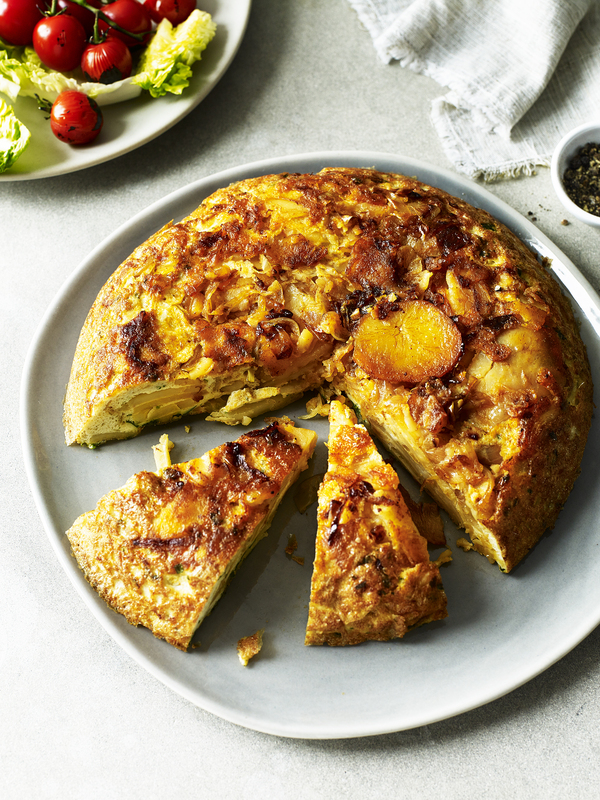 It’s a thick, hearty and delicious tortilla glowing with fantastic Spanish influence. Sweet paprika bursts from the eggy base which gives way to the fantastic consistency of rooster potatoes and garlic flavours. It’s cake-like appearance makes the dish ideal for occasions and large gatherings. Find out how to rustle up this treat below. Place the sliced potatoes into a pan of salted boiling water and cook for 5 minutes, drain and leave to one side. In a medium frying pan add the olive oil and onion and cook until the onion is soft. Add the potatoes, paprika and garlic and continue cooking for 3-4 minutes. Whisk the eggs with the parsley and pour over the potato mix, leave on the heat for 2 minutes and then pop into the oven until cooked and set. Serve warm with crisp lettuce and vine-ripened tomatoes.